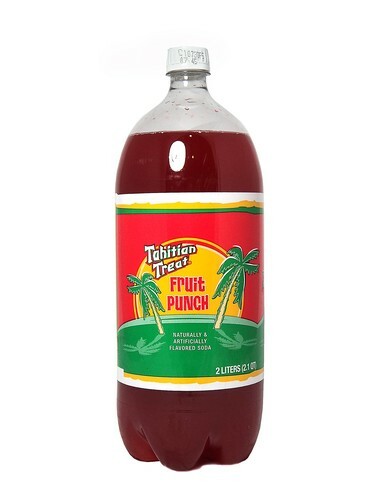 Fresh 2 Liter plastic bottle of Tahitian Treat Fruit Punch soda!!! It tastes very much like a carbonated version of Hawaiian Punch. Very good and refreshing! I also have these available in 20oz plastic and 12 packs.